Right after Labor Day in September, the Best Christmas Trees on Pinterest begin to come alive. On Pinterest, you will find the most creative Christmas trees in the world. These magical Christmas trees are pinned thousands of times on Pinterest. If you are looking for the best Christmas tree ideas, Pinterest is the place to be. Even Pinterest officially confirms that the period leading up to the Christmas holidays is one of the busiest on their site. That’s why we are excited to post 9 of the most magical and the Best Christmas Trees on Pinterest. Looking at this Christmas tree, you will agree that red, green and white are indeed the favorite colors of Christmas. With beautiful ornaments, snowflakes, pinecones, and stockings, this bold color palette of red take Christmas tree decor to a whole new level. This Christmas tree is the result of a fun challenge called Michael’s Dream Tree Challenge. Inspired by the “Let It Snow” theme, this green, white and silver Christmas tree first began on Facebook. Complete with a model owl and vintage family photos, and looking at how magical this Christmas tree looks, it is clear that Michael passed this Dream Tree Challenge! This Christmas tree is one of the most creative we have ever seen on Pinterest. It was designed from scratch and the result is a masterpiece. There is even a video to show you the whole design process, from A to Z. The message is clear: nothing says Christmas better than Red, White and Sparkle with Snowy Branch and Velvet Plum Blossom. 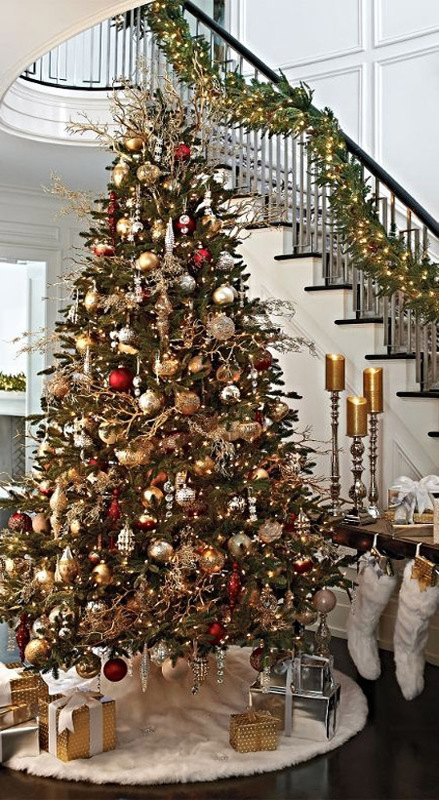 No wonder, it was made by Balsam Hill: they specialize in building beautiful Christmas trees. Part rustic, part cosmopolitan, this Christmas tree is one of the best on Pinterest. No wonder its been pinned so many times. Here’s a tip from the designer: “My christmas trees although they look like I’ve spent a fortune I really haven’t I am very frugal. In fact I buy all my ornaments after Christmas and save them for next year” Well, that’s a good lesson in living frugal…. and also in Christmas tree design! This Christmas tree is a great attempt at bringing Santa home and keeping him there for as long as possible. The Christmas tree is called Santa Christmas Tree. From our research, we have seen that whenever people are passionate about a particular Christmas tree design and then take time to bring their tree to life, it usually comes out right. This Santa Christmas Tree is a classic example. 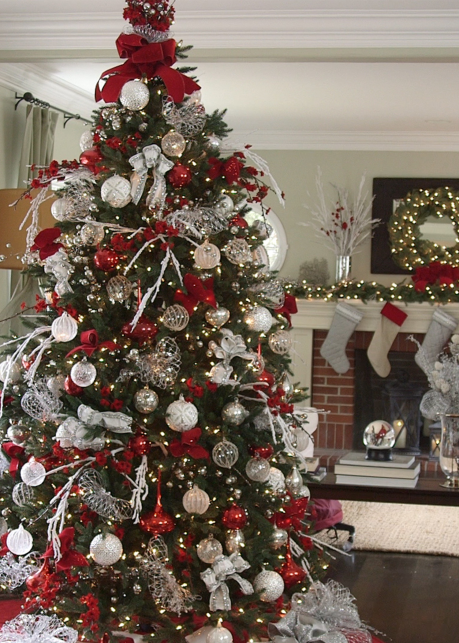 Red, White and Green are the most popular colors for designing Christmas trees. Recently, though, white Christmas trees and snow themed designs have become so trendy. And rightfully so. This rustic snow themed Christmas tree was featured by Christmas 365 Greetings, a Christmas-focused website. 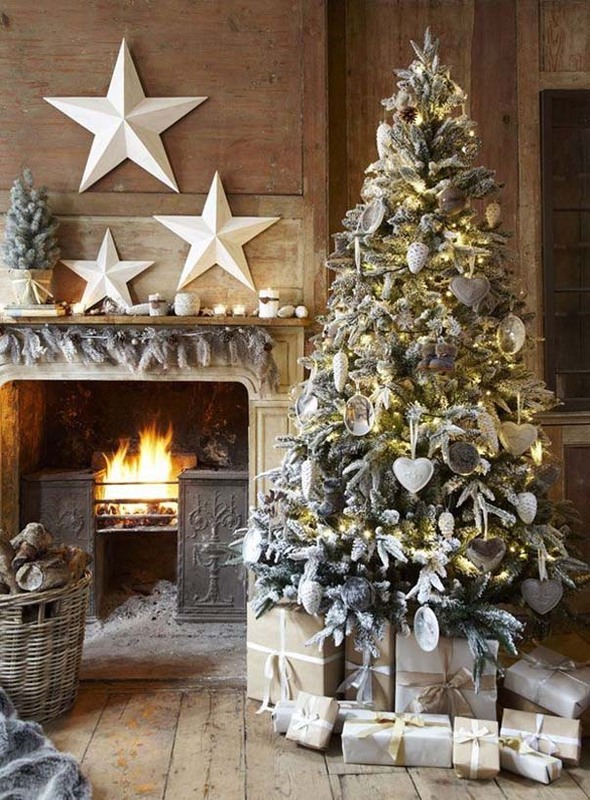 This magically decorated Christmas tree is one of the most elegant on Pinterest. No wonder it’s been pinned many, many times. Here’s another version of the ever popular Santa Christmas tee. This time, it comes fully complete with candy canes and Santa’s belt! Ho Ho Ho! This pair of Christmas trees are probably the most elegant Christmas trees on Pinterest. “Let bold colors and a touch of sparkle brighten up your tree. The addition of rich purples and blues to traditional red and green makes a beautiful, festive palette. Christmas is the most wonderful time of the year. And nothing brings the spirit and joy of Christmas better than a well designed, beautifully adorned Christmas tree. On Pinterest, Christmas magic comes alive. Hopefully these 9 Best Christmas Trees on Pinterest will inspire you to create your own in the most special way. Merry Christmas!